He looks like Tevez. Really. Dear lord, how did I not notice that? He really does look like Carlos Tevez! The evil, spurned twin that turns up out of the blue to make his successful brother’s life a living hell. 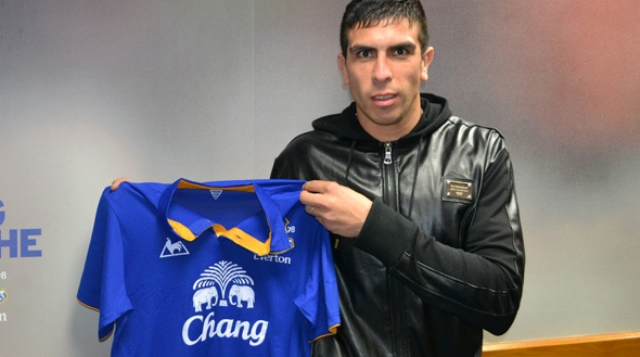 Separated after an incident that left twin brother, Tevez scarred for life, Denis returns to “reconcile”. All eyes on Everton Man U, folks! what? i’m playing upfront by myself all season? “I am OK. I have not been harmed. I am supposed to show you this so you know they will make me try score by myself unless the Arteta is safely returned by midnight.